Originally I set up this website as a resource for my subcontractors so they could keep up to date on all the complex situations and constant changes in the Property Preservation industry. At the time, I couldn’t find any decent quality informational sites for Property Preservation contractors and the few sites that did exist were not very helpful since they were created for the large national servicing companies. Even though I was a complete novice at building websites, I made the decision to figure out a way to make it happen with the resources that were available. I set out to learn about an entirely new type of business and it was not easy. I was only able to make it work because I spent hundreds of hours educating myself. Some of the information was free and some of it I paid for. I sorted through a whole lot of BS while searching for the stuff that could actually help me. In my mind, this website was going to make it much easier to manage my growing network of subcontractors. 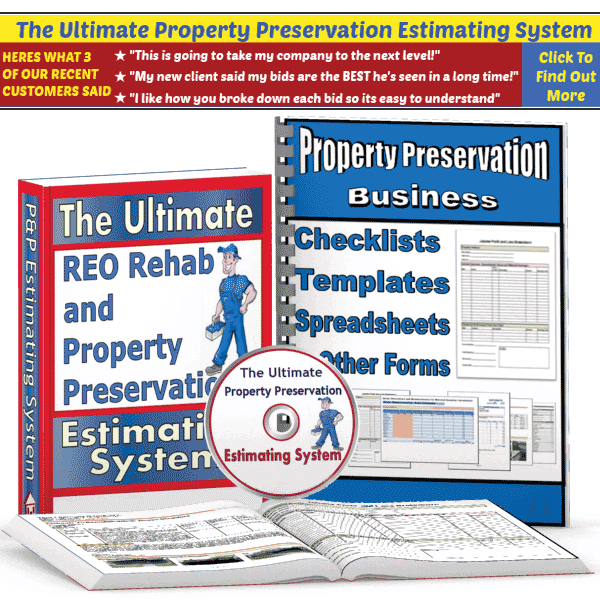 I had to condense decades of knowledge into days because I was determined to eliminate the headaches I was experiencing in my Property Preservation business. So what does this have to do with you? A whole lot, actually. 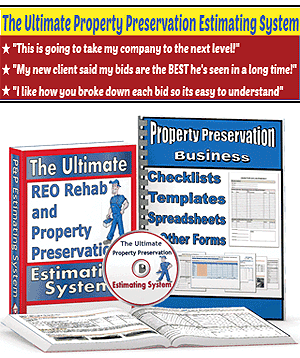 I would have never been able to build my Property Preservation business into a big enterprise, as quickly as I did, if I decided early on that I was NOT gonna pay for information. Unfortunately, I have observed way too many people who have that mentality. They have no problem spending $150 on a pair of shoes or $50 to see a new movie at the Cineplex but then become “cheapskates” when it comes to investing in their future. It’s not surprising that most new businesses are struggling when they don’t have to. Folks, we have been living in the “Information Age” for the last 10-15 years. More and more people are taking advantage of the technology and information for the betterment of their businesses, all the time. Most industries are changing so quickly nowadays that the only way to keep up is by taking advantage of the valuable informational resources at our disposal. Information is everywhere but unfortunately, most of it is not even worth the paper it’s written on. So the real trick is minimizing the time it takes you to sift through the garbage in order to find the little gems of information that are most helpful. Most people are surprised to hear that I spend an average of $500 to $1,000 each and every month on different educational courses and software. I do this so that I can stay at the front of my industry. I can honestly say that this “habit” of mine has directly affected my ability to generate income. There’s an old saying that goes something like this: Wealthy people have huge collections of books. Average people have huge television sets. What does your bookshelf look like? Is it so full that you can’t even fit another book, like mine is? My name is Joy. First let me say I love your directness in these articles. You seem to say it like you see it and I appreciate that. I live in Florida and I am considering starting a trashout business. In reading your articles it seems that you would encourage someone to delve into the “whole” of the property preservation business as opposed to a part of it. Is this accurate? I am researching many aspects of this type of business and have so many questions. I’m not sure where to go for accurate answers. Is it “too late” to benefit from a business such as this? What type of equipment would I REALLY need? Is there money in the trashouts and cleaning aspect? Insurance? Type of truck? Etc..